The Vaughan Prospecting (Rock) Pick forged from solid high carbon steel for excellent strength. 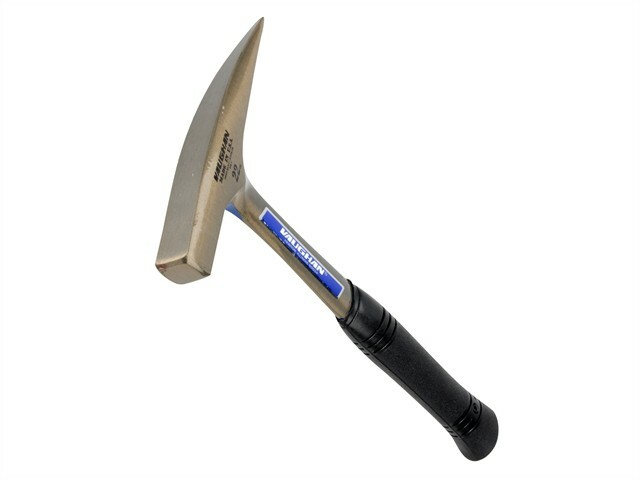 It has a flat, smooth striking face and a tapered, sharp point for chipping rock and masonry. For comfort, the pick has an exclusive air cushioned, slip-resistant grip.